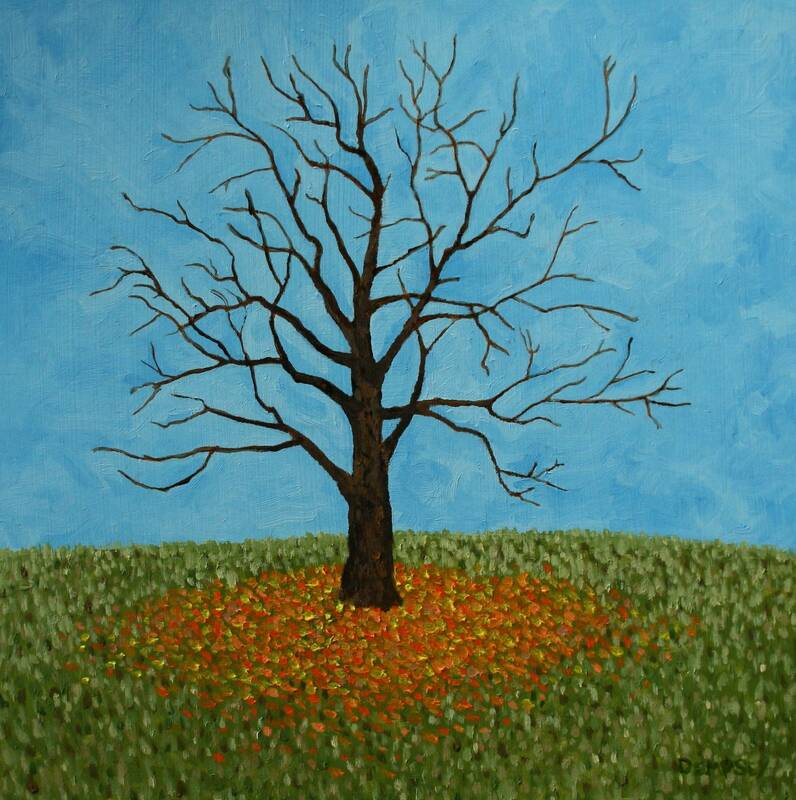 A painting inspired by a tree that lost all of its leaves overnight in the rain. Dude, ya' gotta hold on to the rock! The painting is twelve inches wide by twelve inches tall. It is an oil on a board.